The Japanese have come up with yet another “tool” to help you combat sweltering summers that you experience over there – this looks like any other short-sleeved polyester shirt from the outside, but when you take a look at the $186 price tag, you would definitely realize that surely all that money forked out for it would have to go somewhere – at that is because this work shirt is equipped with fans. 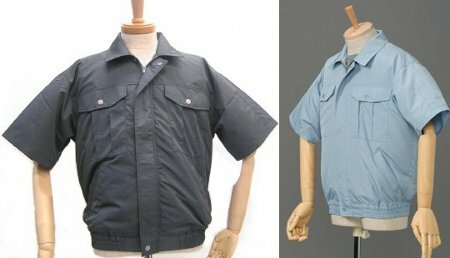 Kufukucho’s ingenious solution has its DNA rooted in previous cooling solutions such as seat cushions, mats and beds, and this polyester shirt follows suit by integrating fans which will drive fresh, cooling air flow all over your body to make sure you even save on deodorant in the long run. A control box will house a couple of AA batteries to power the fans, and you can even adjust the fan’s speed.